Epionce was voted the best anti-ageing skincare line in the US and is becoming one of the most popular ranges used by cosmetic doctors and medical aesthetic clinics in the UK. Epionce was formulated with potent botanical ingredients in proven concentrations using a highly effective delivery system without causing irritation. Paraben and fragrance free, Epionce is suitable for even the most sensitive of skin types. What clinical trials back up the claims of Epionce? The effectiveness of the system has been proven in double-blind clinical trials conducted by independent, nationally recognised research organisations. The product line is retailed through cosmetic doctors, medical aesthetic clinics, dermatologists, plastic surgeons and other skincare professionals interested in giving you the best possible improvements in your skin. 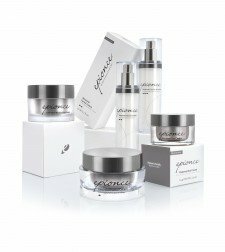 Epionce is also a complimentary range to use following treatments and skin resurfacing programmes. How do I choose Epionce? Whether you choose one product from the System or more, your choices are simple. Your skin care regimen starts with your skin type first, to provide a healthy foundation from which to build. Then, Dr Comins and his team will customize as needed to produce a specific aesthetic result, or to help diminish a specific skin condition such as acne or psoriasis. The system leverages years of scientific research to help Dr Comins and his team build the perfect skin care solution to meet your needs.